Mystery lovers have descended on Pine Hills for this year’s book club competition, to be held at Krissy Hancock’s bookstore café. But the killer in their midst seems determined to outwit all the armchair sleuths—and send Krissy to the remainder bin forever. 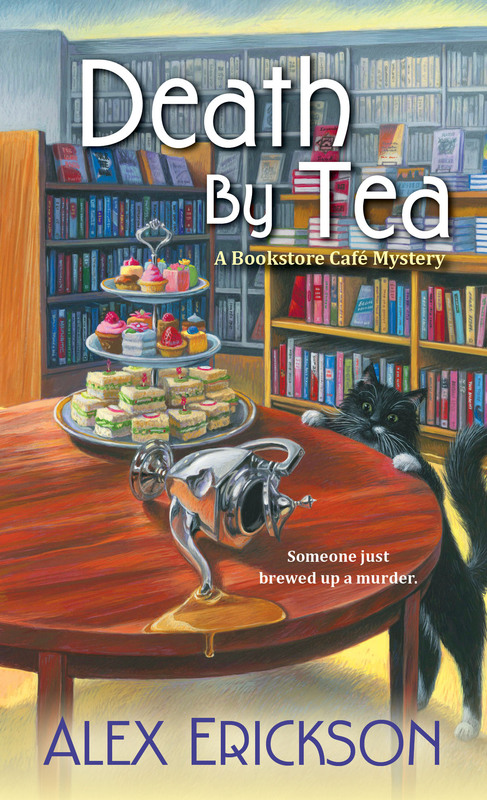 Just before two dueling book clubs are set to square off at Death by Coffee, one of the competitors turns up dead—bludgeoned with the silver teapot that was to serve as the prize. Suspicion immediately falls on Krissy, who was seen skulking around town in dark clothes on the night of the murder. To clear her name and find the real killer, Krissy turns to an old flame, Officer Paul Dalton. But even Paul can’t ignore the trail of evidence that seems to point in her direction. And with Krissy’s personal nemesis, Officer John Buchannan, working overtime to pin the murder on her, it will take an amazing feat of detective work to close the book for good on an elusive killer. . .
Order your copy from Amazon, Barnes and Noble, or your favorite book seller.